The wind of change is truly blowing across the world and the status quo is being challenged like never before. Recently, tables turned in the field of politics when an unexpected African American challenged the status quo, running on a platform of change. He now sits in the highest office on the planet. In the business world, business moguls are being tested like never before. The visionary Microsoft co founder, Bill Gates has lost the title of the world's richest man - a title he has held for 14 of the past 15 years. The fall of Bill Gates to second place on the world's richest list could not go unnoticed, because he was replaced by an unlikely businessman, who just made his debut on the top spot. The obvious question is - who is now the world's richest man? Who is the brain behind the fall of Bill Gates? 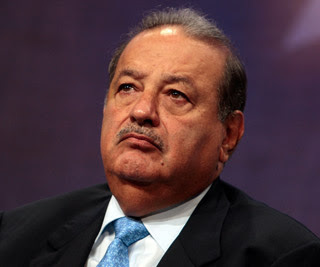 His name is Carlos Slim Helu. He is the richest man on the planet in 2010, according to Forbes. Now 70 years old, Slim is widowed, a father of 6 and a self made billionaire from Mexico. What is his net worth? He is worth $53.5 billion, with up to $18.5 billion in the past 12 months. 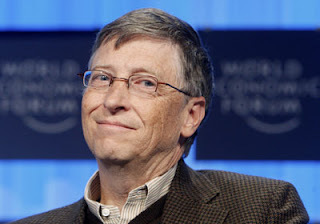 When news of the fall of Bill Gates to second place in the world's richest list broke on CNN, as you would expect, many people made comments - sympathizing with the visionary. I read a couple of the comments. Some people argued that Mr. Gates donates a lot of money to charity and has not lost (in the true sense of the word) his net worth as such. I thought this was a lame argument! No doubt, he has made more money this year, but who doesn't donate to charity? According to Forbes, Mr. Slim has donated to the tune of $65 million to fund a research in genomic medicine. Why did Bill Gates fall to second place? I think he has been knocked out of the way by the on-going digital tsunami in the telecom industry. Telecom has hit a new level and has propelled the Mexican telecom tycoon to first place on Forbes rich list 2010, relegating Bill Gates and America's "favorite investor" - Warren Buffet, to second and third place respectively. 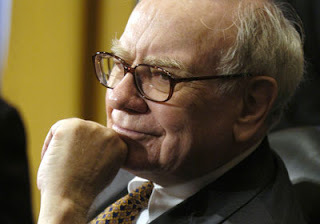 Warren Buffet was the world's richest man in 2008 and second in 2009. In the past 12 months he made a mind boggling sum of $10 billion, but ranks third on the world's richest list 2010. Does the rise of Carlos Slim atop the world's richest list signal the final fall of Bill Gates? Absolutely not! Bill Gates, now worth $53 billion, has seen tougher times over the years and has demonstrated remarkable resilience. It is worth reiterating that this is only the second time he has been edged out of the top spot, since 1995. For instance, in 2008, he dropped to third place on the world's richest list and managed to bounce back. I have no doubts that Bill Gates would reclaim his hard-earned place on this envied list. As you can see, I am rooting for Bill Gates, but as a licensed representative of an Inc. 500 telecom company, the rise of a telecom tycoon to first place on the world's richest list is good news. You would agree that telecom has an enormous potential and provides hugh opportunities (even for ordinary people like you) as discussed in earlier articles: How to Make Money Every time Someone Pays a Phone Bill and An Opportunity in the Nigerian Telecommunications Market. Now that the tables have turned on Bill Gates and Warren Buffet, one pertinent question remains unanswered - Is telecom the new money making machine?